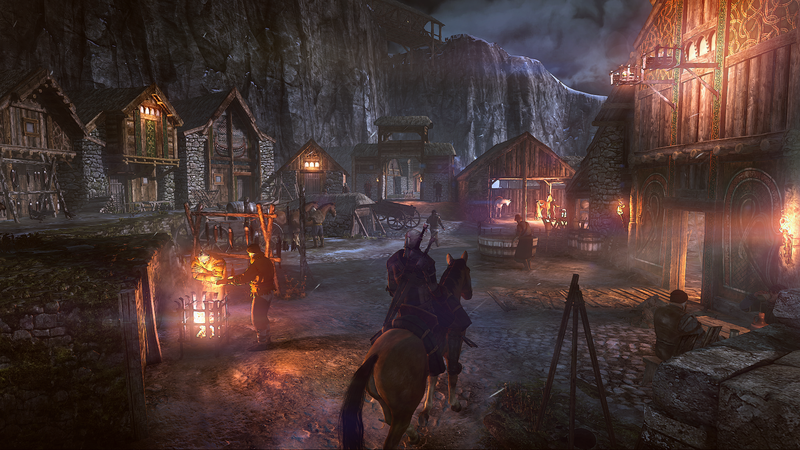 The Witcher 3 is one of the games I went to PAX this year to find and take a closer look at. Everything I’ve seen up to this point was fantastic looking and really making me appreciate the people over at CD Projekt Red that put forth the effort to craft such great games. I’m not playing them up either; if you haven’t experienced The Witcher series yet, you should. However, upon wandering around PAX, I could not find a booth or anything of that sort. It was killing me and on the last day I took a chance and asked someone because I was tired of seeing these Witcher 3 T-Shirts around not being able to find jack. I literally was on my way to meet up with Ron and leave PAX so I want to throw a shout-out over to the lovely Christine Farmer! I bothered her on a lunch/snack break because she was sporting one of the shirts. Turns out she was the PR Coordinator and she (for obvious reasons) pointed me in the right direction. Without her, this Q&A wouldn’t have been possible. Please enjoy the read*! The Videogame Backlog: Would you please introduce yourself to the readers? Damien Monnier (Senior Gameplay Designer): My name is Damien Monnier and I’m a Senior Gameplay Designer on Witcher. TVGBL: OK, going back to the question I just had, was that the same voice because it sounded different [in the demo]? Damien: It is the same guy; it’s Doug Cockle. It’s been the same one since the very first Witcher game. Now, Geralt is older and he’s meant to… well as you can see he’s got this beard now. Damien: He’s going to look much older, and yeh, he looks good! He does look much better I think. It’s just a lot more mature and I know Doug’s tried to get this through. I wouldn’t say it’s different, but maybe a little bit deeper. TVGBL: It might be the speakers. Damien: It could be here, but you’re right. He’s a bit more broody. TVGBL: He also seems a bit muscular, has he been working out since the last two games? Damien: No, we felt like we didn’t want to totally change the main character. 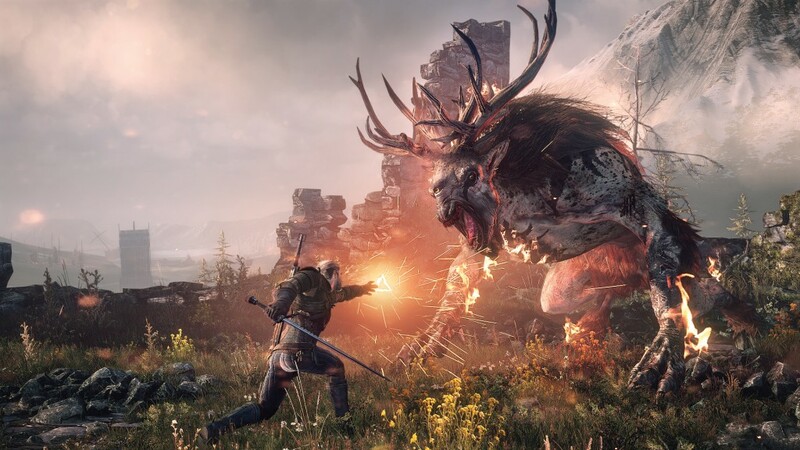 It needed to be Geralt, but also we needed to have this story to happen between Witcher 2 and Witcher 3 where he’s been out there fighting a lot more monsters. 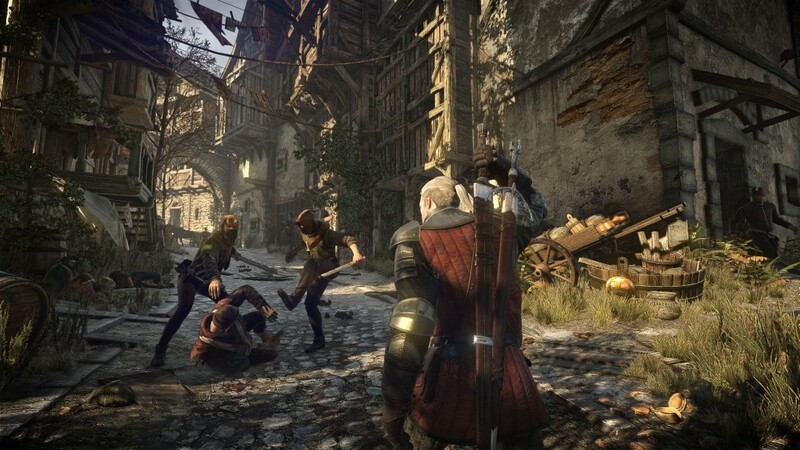 It was less about the politics of The Witcher 2 and he focused a lot more on monster hunting and doing what a witcher does and in fact that translates in this new game which is a lot more of being in the wild and hunting monsters. We thought it made sense to make him a bit more muscular. 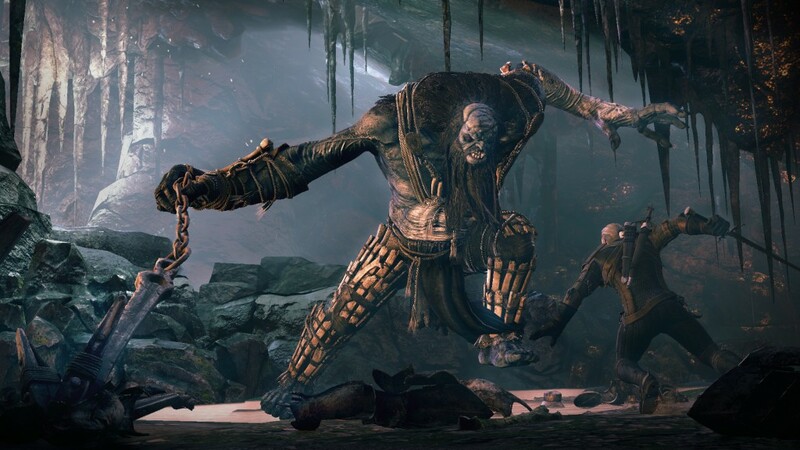 TVGBL: Was there any sort of inspiration for [The Witcher 3] as opposed to the other two? Was this story preset and you’re now just bringing it to fruition? Damien: Right right right, well there is a war going on and that was introduced in the second Witcher. So we knew where we wanted to take it, in fact we knew even from the first Witcher. We had an idea of where we think we [could have ended] it. I don’t want to spoil too much. Damien: It carries over from The Witcher 2 and you don’t necessarily need to play The Witcher 1 or 2 to really get into it. What we’ve done is at the beginning we introduce you to key characters [and] key events as well and we’ve done it in a way which I think is quite clever because it doesn’t bore players that are familiar with it. So you don’t need the first one or the second one; you can just jump in and you’ll understand what’s going on. TVGBL: With the first two Witchers you used distributors, but you didn’t really use a publisher, but you’re with WB Games now? Is there any reason for that? Damien: No no no, we’ve always worked really closely with our distributors because we are self published, that’s the thing. Edit: I said feeling like a dork. Damien: It’s our distributor and the reason we’re self published is because we want to keep a certain amount of freedom with our title. TVGBL: So WB is not the publisher it’s just the distributor? Damien: Yeh no we are self-published. TVGBL: Very cool, I’m glad you kept doing that. Damien: Absolutely, that’s a key… it’s super important for us. 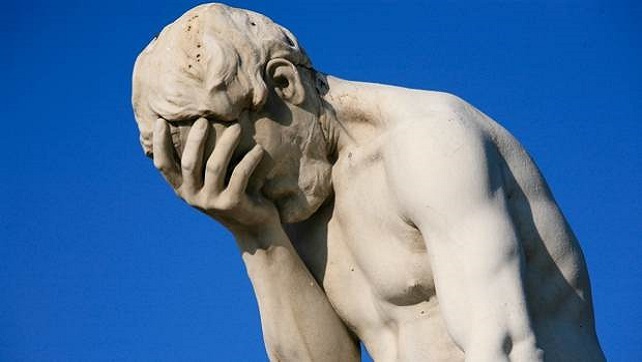 I’ve worked for various companies before CD Projekt and being able to keep to our own deadlines and if we’re not happy with a product we say, ‘you know what? Let’s just spend more time on it and make it exactly how we want it.’ This is rather than have a publisher say, ‘no you guy’s have got two months and that’s it! You’ve got to get the game out!’ So no, we are self published. We’re just with Warner Brothers because they offered to give us a booth here and we said ‘Yeh, that’d be cool!’ We’ve never done PAX before, that’s the thing. We’re not used to being that popular and having people actually que for hours just to see our presentation… it’s awesome! Damien: We hope so. We hope so. We worked really, really hard on this and it’s all for the fans. It sounds kind of corny, but it is excellent for us to come here because we do work crazy hours. We work around the clock to make a game that we would play as gamers and sometimes you forget that, you know, there are people that will que for hours just to see your game for fifteen minutes and they think it’s awesome and that gives you all the energy to then carry on and finish the title. I’m going back to the office in a few days and I’m going to have meetings with everybody and tell them how much love we received. Everybody’s crazy about this in the office. TVGBL: One of the things I always like to ask is: What are you the most interested in the players experiencing in the game. Damien: Hmmm… that depends because I might be a bit biased since I’m the gameplay designer, but I really can’t wait for players to just be on a quest and suddenly get side-tracked because they’ve seen something quite nice in the distance. [It may be] a building, maybe a natural formation and before you know it, they are knee-deep in this tall… well I don’t really want to give you an example because I don’t want to spoil it, but we have a lot of things that are not just even side-quests, but these events put on the side. You’ve seen a very, very small one here where we’ve got some guys fighting and killing a guy and we’ve decided to go in and kill those guys and then we protected a woman and we were on our way, hunting down a griffin. I can’t wait for players to really experience this and go, ‘Oh this thing I did two hours ago… alright that’s actually much more important than I thought it was.’ And that’s the wild moment where you’re very careful about what’s going on around you. TVGBL: Yeh, it’s the shades of grey in this game that always mess me up. I remember in the very beginning in the first one, I was befriending somebody and I defended their goods and ended up killing the people that were trying to steal them. And then I died and I forgot to save. So then I came back and found the guys beforehand and I [realized that] those were their goods to begin with and then I felt really bad for killing them the first time. Damien: There’s a lot of that. Some of them are pretty straight forward. Like I said, it’s a matter of actually finding out about the info before you act and others you just have to make a call on the spot. TVGBL: Is there any chance, like where you were hunting down the griffin and I see [the above event], will that just play out and you would miss an opportunity if you didn’t interact there? Damien: Some of them yes… most of them yes. TVGBL: Could you, if you did to many of those, could you lose the griffin, period? Damien: Alright, in terms of the griffin, because this one is just at the end [of the hunt], we could lose him technically. [It’d be hard because we were at the base of its nest.] Let’s just say we hadn’t used a bolt [to make him] bleed, we could still track him if we figure out where a griffin lives or the area or so on. In this case he would probably stay in his nest for a little while because that’s where he lives. So we’d be ok, but maybe we didn’t know that before. We obviously knew because we’ve been playing the demo for quite a while but it totally depends on the monster. Some of them, you have to be really on the ball. You have to just track them non-stop otherwise you’ve got to do the whole thing again. TVGBL: OK, last thing. Is this the end? Damien: It’s definitely the last chapter of Geralt’s story. Damien: Well we have the rights to the world of The Witcher whether or not we’re going to take it somewhere else, we don’t know yet. We have two teams right now. We’ve got a team that’s focusing on finishing the game first and another one that’s on Cyberpunk. So we’ll see after that. We just know that we want to wrap it nicely. We think it’s the best way as well because the focus and even the attention from fans or journalist has really been rising a lot since the first one. I personally see this as the top. This is it. This is the cherry on this cake and we must make it perfect and then after we’ll see. There’s no point in dragging it just for the sake of it, you know? And with that, I left even more excited about The Witcher 3 than I was already. It looked great and the wait will obviously be too long since I’m still making my way through the originals. As I’ve said in other posts, you’ve got to love a dev that loves his or her game and shows the fact they know the fans are important and not just the dollar (although they probably don’t mind getting more of those). It’s good to see CD Projekt Red doing so well and I wish them the best for their future adventures! 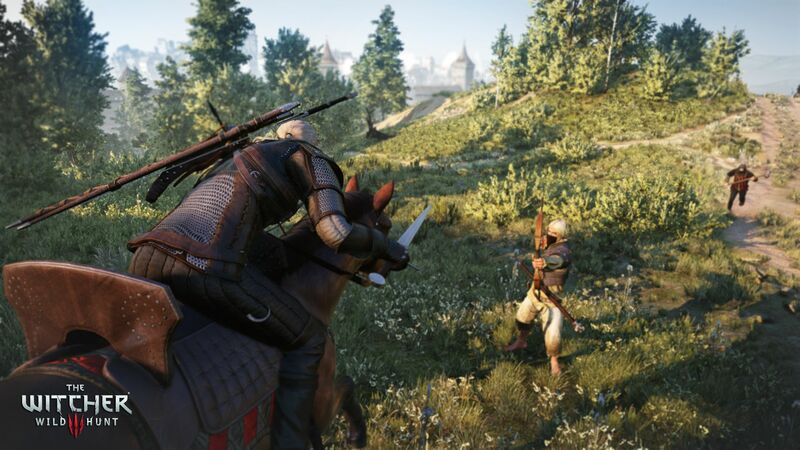 Anyone else pre-ordering The Witcher 3: Wild Hunt?